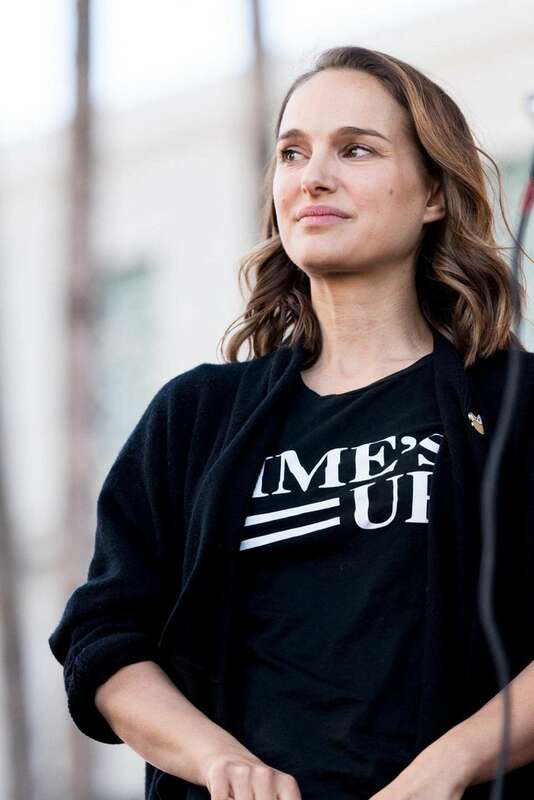 Natalie Portman, Eva Longoria, Viola Davis and more supported women's marches across the country by attending or performing at events or by lending support to the march's mission — which is to champion human rights for women, immigrants, the LGBTQIA community and other groups. The marches took place Saturday, Jan. 20, 2018, in Washington, D.C., New York City, Los Angeles and more. 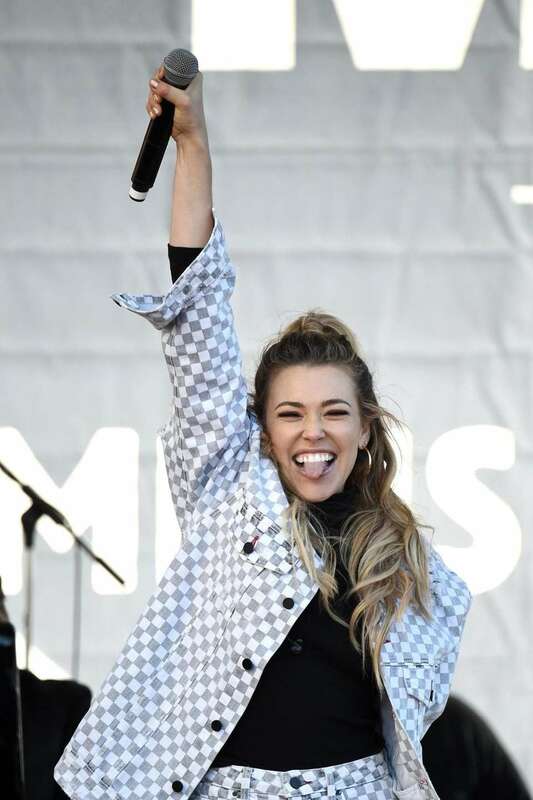 Singer-songwriter Rachel Platten performs at the Women's March at Pershing Square in Los Angeles on Jan. 20, 2018. Artist Marco Perego and actress Zoe Saldana attend the Women's March in Los Angeles on Jan. 20, 2018. 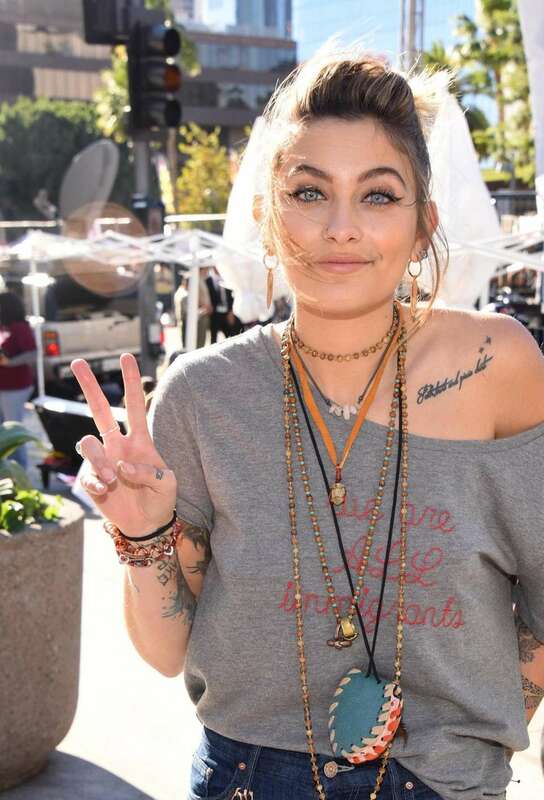 Actress Paris Jackson at the Women's March at Pershing Square in Los Angeles on Jan. 20, 2018. Actresses Connie Britton, left, and Marisa Tomei speak onstage at the Women's March at Pershing Square in Los Angeles on Jan. 20, 2018. Actress Viola Davis speaks onstage at the Women's March at Pershing Square in Los Angeles on Jan. 20, 2018. Actress Yvette Nicole Brown speaks onstage at the Women's March at Pershing Square in Los Angeles on Jan. 20, 2018. Actress Marisa Tomei speaks onstage at the Women's March at Pershing Square in Los Angeles on Jan. 20, 2018. Actors Mary Steenburgen and Ted Danson speak onstage at the Women's March at Pershing Square in Los Angeles on Jan. 20, 2018. 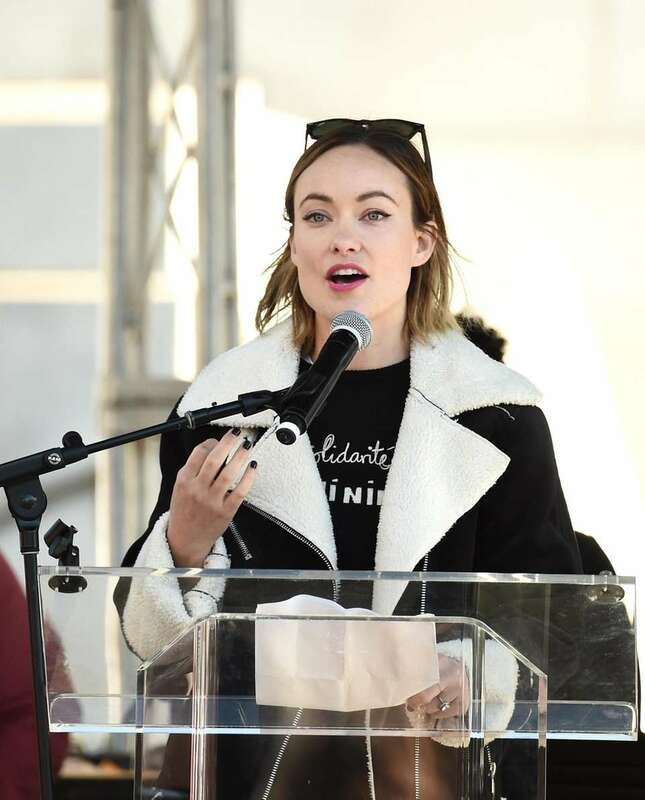 Actress Olivia Wilde speaks onstage at the Women's March at Pershing Square in Los Angeles on Jan. 20, 2018. Actress Natalie Portman attends the Women's March in Los Angeles on Jan. 20, 2018. Actress Scarlett Johansson speaks as Mila Kunis holds a microphone for her at the Women's March in Los Angeles on Jan. 20, 2018. Film director Rob Reiner speaks at the Women's March in Los Angeles on Jan. 20, 2018. Actress Kathryn Hahn, center, attends Respect Rally Park City to celebrate community victories, honoring the one-year anniversary of the Women's March and Park City's March on Main on Jan. 20, 2018, in Park City, Utah. Author and actress Padma Lakshmi makes her way through the crowd before the Women's March on Jan. 20, 2018, in New York City. Actress Eva Longoria waves to the crowd before speaking at the Women's March in Los Angeles on Jan. 20, 2018. Actress Natalie Portman speaks as she is joined by actresses Eva Longoria and Constance Wu at the Women's March in Los Angeles on Jan. 20, 2018. Actress Whoopi Goldberg attends the Women's March in Manhattan on Saturday, Jan. 20, 2018. 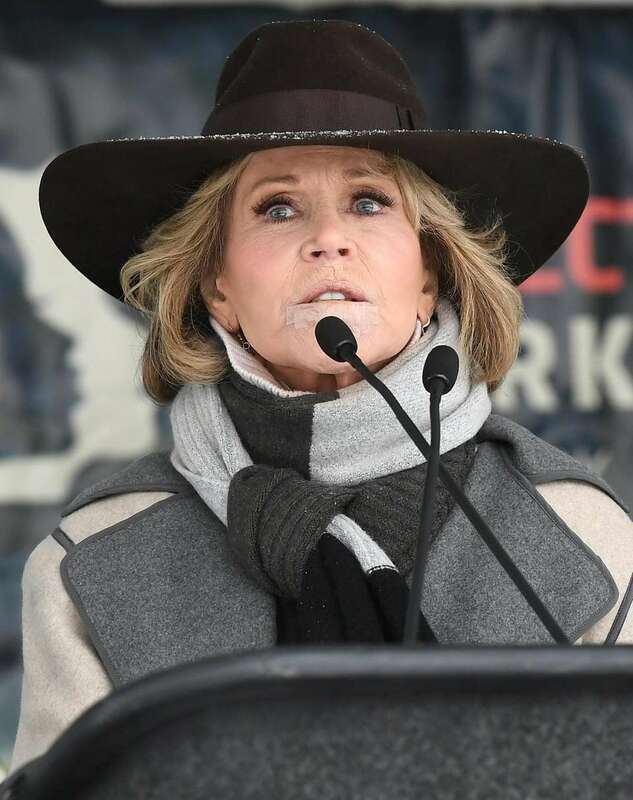 Activist and actress Jane Fonda speaks at Respect Rally Park City to celebrate community victories, honoring the one-year anniversary of the Women's March and Park City's March on Main on Jan. 20, 2018, in Park City, Utah. Actor Nick Offerman speaks at Respect Rally Park City to celebrate community victories, honoring the one-year anniversary of the Women's March and Park City's March on Main on Jan. 20, 2018, in Park City, Utah. Women's rights attorney Gloria Allred speaks at Respect Rally Park City to celebrate community victories, honoring the one-year anniversary of the Women's March and Park City's March on Main on Jan. 20, 2018, in Park City, Utah. Actress Maria Bello and hip-hop artist Common attend Respect Rally Park City to celebrate community victories, honoring the one-year anniversary of the Women's March and Park City's March on Main on Jan. 20, 2018, in Park City, Utah. Melissa Etheridge performs with the Gay Men's Chorus of Los Angeles at the Women's March in Los Angeles on Jan. 20, 2018. Actress Maria Bello attends Respect Rally Park City to celebrate community victories, honoring the one-year anniversary of the Women's March and Park City's March on Main on Jan. 20, 2018, in Park City, Utah. Common speaks in Park City, Utah, on the anniversary of the Women's March and Park City's March on Main on Saturday, Jan. 20, 2018. Jane Fonda speaks in Park City, Utah, on the anniversary of the Women's March and Park City's March on Main on Jan. 20, 2018. Actress Maria Bello speaks in Park City, Utah, on the anniversary of the Women's March and Park City's March on Main on Jan. 20, 2018. Women's rights attorney Gloria Allred speaks in Park City, Utah, on the anniversary of the Women's March and Park City's March on Main on Jan. 20, 2018. Nick Offerman speaks in Park City, Utah, on the anniversary of the Women's March and Park City's March on Main on Jan. 20, 2018.